For nearly 25 years, Liz accessed the community and took specialized classes at United Cerebral Palsy (UCP), including her favorite: a communication class where she worked with her favorite teacher, Joy Cole. She first learned how to use a computer, then enhanced her skills and also learned to use other forms of equipment to strengthen her communication. She stayed with UCP until five years ago, when she retired and began attending the senior program at St. Madeleine’s Sophie’s Center. Liz took great pride in her personal appearance. She loved to coordinate her outfits – from her earrings to her socks, everything needed to match. It may have taken her more time than most due to her arthritic hands, but she never let that stop her from looking her best. Other hobbies included a special fondness for organizing. She would straighten the drawers in the dining room and line up pens, tape and rulers. Liz also thoroughly enjoyed any type of writing, especially her name, which she practiced tirelessly. She also loved coloring and word searches alongside one of her many friends. Her unique sense of humor was loved by staff and friends here at Noah. She brought a lot of joy to our family and all of the people who knew her. She was a blessing and will be greatly missed. Liz lived at Noah Homes for almost 28 years. She was born in Tucson, AZ and weighed only 1.75 pounds at birth. Since then, Liz continued to prove she was fiercely independent and capable. 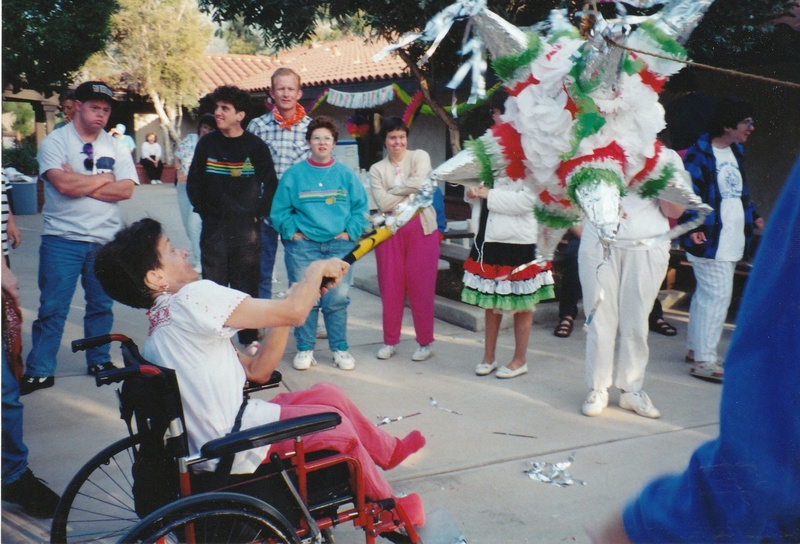 After moving to Noah in January of 1987, she lived in Esperanza for 24 years. As she aged and her needs changed, she moved to Casa de Fe, where she lived for the last five years. Liz was a hard worker and loved attending day program.